When the Starship Enterprise was built in 1966, it wasn’t at a Starfleet base, but in a humble model shop in Burbank next door to America’s largest IKEA. 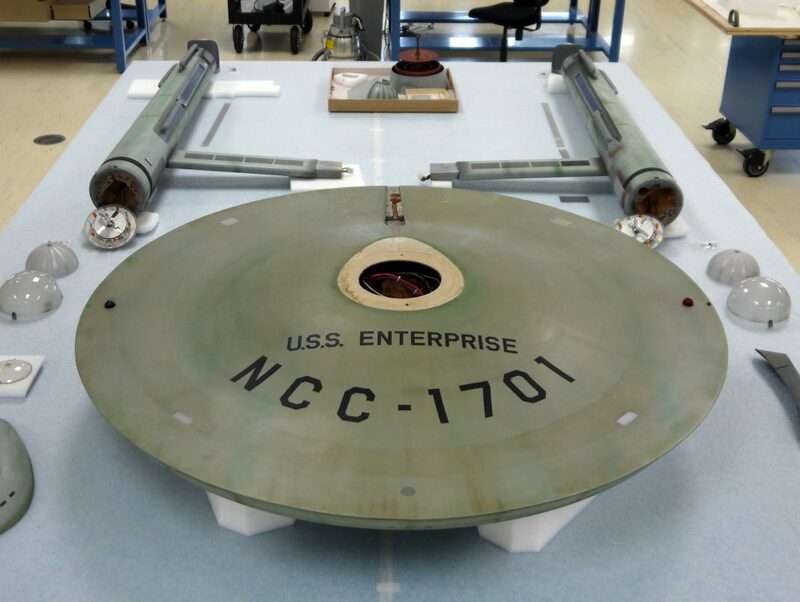 Today, the iconic TV prop from the original Star Trek series is the focus of a major restoration effort by conservation scientists at the Smithsonian Institution. The show aired its last episode in 1969 and five years later the ship was sent to the Washington, DC where it went on display in the National Air and Space Museum’s Milestones of Flight Hall. I love it when science fiction meets actual science, and I’ve heard countless NASA employees talk about the influence Star Trek had on them, so it’s wonderful to see the team going to such high-tech lengths (did someone say μ‐FTIR spectroscopy and μ‐XRF spectrometry?) to examine and restore the original Enterprise. The museum plans to have the ship back on display in time for the 50th anniversary of Star Trek in September.